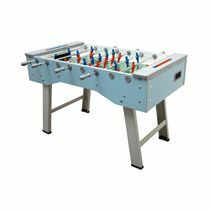 The Garlando G-500 Evolution Football Table with Telescopic Rods is Garlando’s most popular table with a more hi-tech and glamorous effect. It is a classic design with a new evolution finish with a tasteful aluminium and black combination and a very sturdy construction, excellent stability and outstanding playability. As well as the home environment, it is suitable for use in community centres, clubs, schools and institutions. Legs: 90 x 90mm square metal legs with silver anti-scratch powder varnish coating. Levellers enable a ideally flat playing field on uneven floors. Players: Red/blue players in strong plastic moulded onto the bars. for submitting product information about Garlando G-500 Evolution Indoor Football Table We aim to answer all questions within 2-3 days. 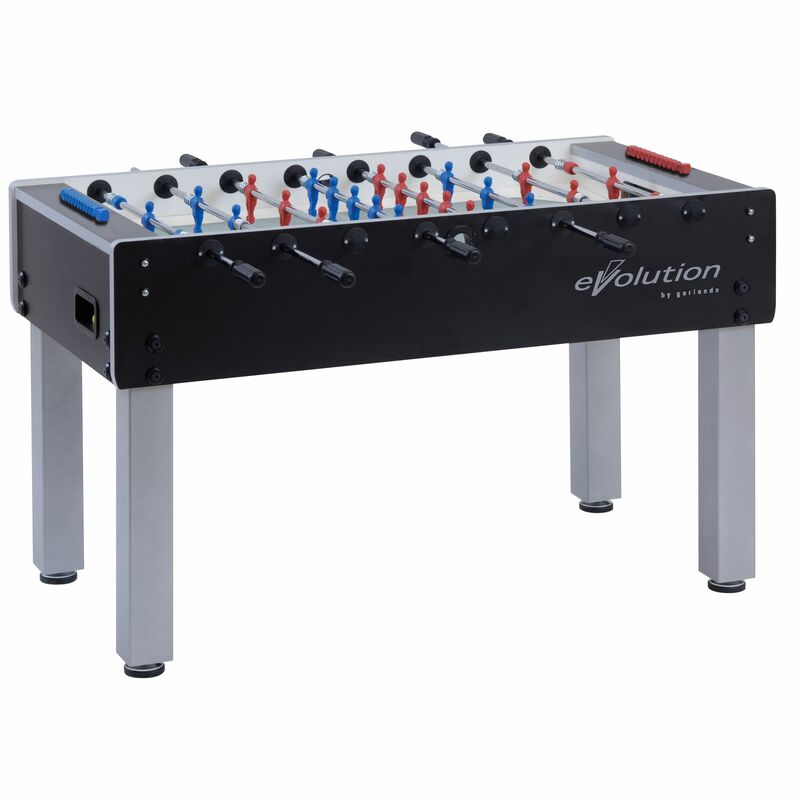 for submitting product information about Garlando G-500 Evolution Indoor Football Table. We aim to answer all questions within 2-3 days. If you provided your name and email address, we will email you as soon as the answer is published. for submitting product review about Garlando G-500 Evolution Indoor Football Table.